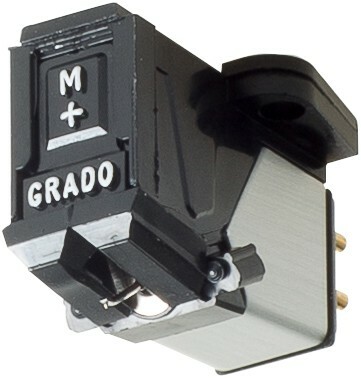 One of two new mono cartridges offered by Grado for analogue lovers with mono album collections. ME+ model also available. Grado Prestige MC+ Mono Phono Cartridge is made for analogue lovers with record collections that include mono albums. Grado strives to deliver products that will fit all the needs of the analogue enthusiast. To this end, Grado offers two new cartridge models in a mono version. The Prestige model MC+ uses a three-piece OTL cantilever technology, oxygen free wire in the coils and a specially designed, high polished elliptical diamond mounted in a brass bushing. All wooden body cartridges are available in mono version. This will make your records quieter and enhance the musical pleasure of these recordings. Grado's OTL provides an ideal transfer of the signal from point to point, stylus to cantilever to magnet to coils, etc. This has been achieved by eliminating resonance at each of these key junctions. The transmission line cantilever consists of separate sections that are telescoped into each other. All sections are made of different alloys, some sections hollow, other sections solid. These sections are bonded together with materials that act as dampers and are coated with a black proprietary material which controls and absorbs resonances that travel on the surface of the cantilever. The OTL stylus/cantilever design will make your records sound quieter, improve the height, width, and depth of the soundstage, and offer more detail than previously obtainable. This design feature is basically quite simple. The "OTL" cantilever shaft is brought to a fixed axial pivot that supports the entire cantilever assembly. A miniature element attached to the end of the cantilever is allowed to move freely within the lines of flux of a stationary magnet and coil structure. This system of support is mechanically more accurate (more linear) than conventional "teeter-totter" designs that utilize an iron armature to balance the mass of the cantilever. The teeter-totter design is supported in the centre with a rubber doughnut mounting. The fixed axial design has a very low tip mass, which results in lower distortion, improved transient response, and longer record life. The Prestige series of cartridges are designed for high output and excellent stability under severe use. A considerable tip mass reduction results in a frequency response to 50 kHz and beyond and tracking forces from 1-2 grams. They are acclaimed by experts as virtually the finest pickups in the world at their price. All styli in the Prestige series are user replaceable.